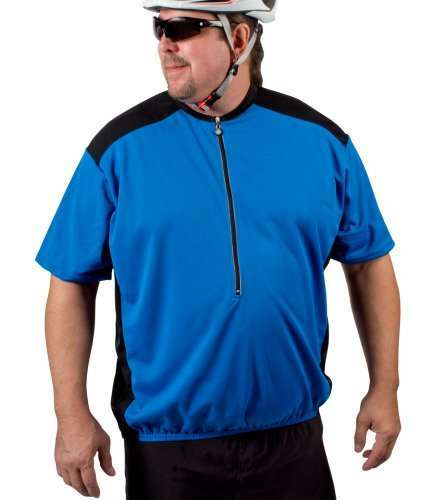 Perfectly crafted for big guy cyclists, the Colossal jersey keeps you cool and dry on the bike using lightweight 100% polyester wicking fabric and a loose fitting design. 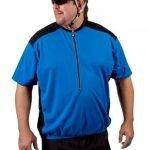 This Big Man’s Colossal Cycling Jersey Royal Blue was created to be non-restrictive while still allowing you to take advantage of its moisture transport properties while you’re in the saddle. 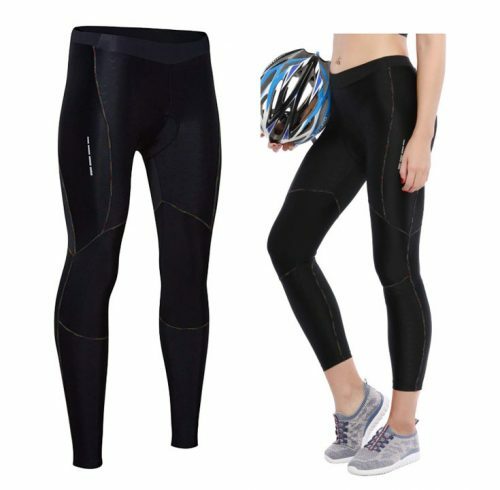 The 15-inch front zipper also gives you another option to moderate your body temperature during a ride. 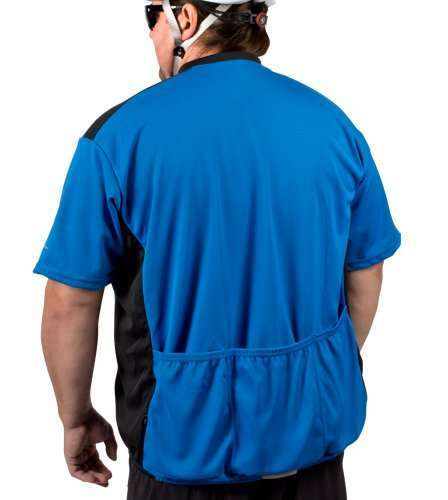 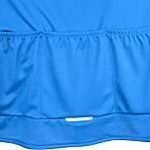 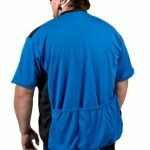 In addition to the standard 3 rear pockets, waistband elastic, and rear drop tail, this jersey features reflective elements on the zipper and rear pockets and is available in 3 colors: Neon Yellow, Royal Blue, and White. 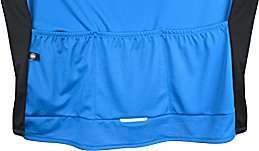 All jerseys are made in the USA.